The Rosette Nebula 2-6-2019. Image captured from urban Sarasota, FL. 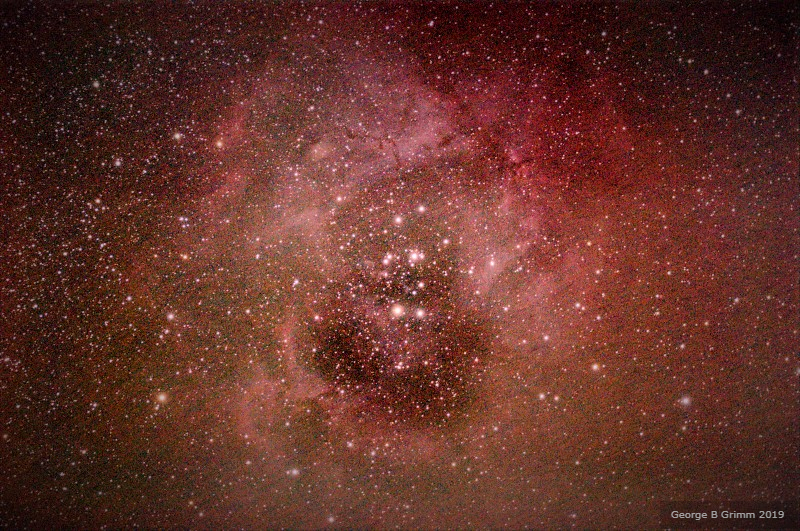 The Rosetta Nebula is a vast cloud and covers an area about 5 times that of the full moon. With a total magnitude of 4.8, the star cluster NGC 2244 is visible in binoculars, and seen quite well in small telescopes. The Rosette Nebula is easier to observe photographically; this is the only way to record its red color, which is not seen visually.